Come enjoy this simple string instrument that everyone can enjoy ~ It's a Success for all! 6 yrs to Adults. 5 yrs with a parent! 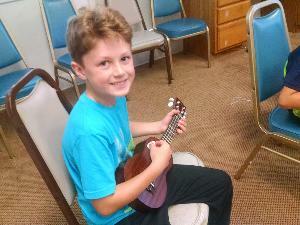 Mon at 3:30 PM starts 9/3/18 Strum n Fun 5.5+ George SB Kindermusik Studio @1st United Methodist Church $95.00/m Register!